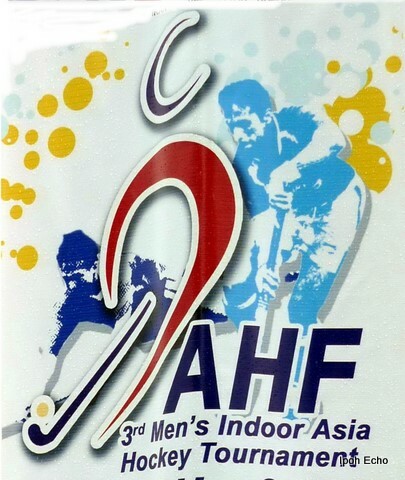 It’s that time of the year again for the 3rd Men’s Indoor Asia Hockey Tournament. The tournament will be held at Stadium Indera Mulia Ipoh from July 1-6. Six countries will be participating this year compared to four a year ago. The teams are Thailand, Uzbekistan, Iran, Pakistan, Kazakhstan and Malaysia. The 2 new participants are Pakistan and Kazakhstan. As we go to press, the selection of the Malaysian team to represent the country at this 3rd Indoor game is currently being battled out at the National Indoor Hockey Tournament being held at the MSC hall at the Simee Sports Complex. This year is the first time that a knock out system is being used to select the National Indoor Hockey team. Twelve teams (from Perlis, Perak, Penang, Kedah, Pahang, Selangor, KL, Malacca, Negeri Sembilan and 3 from the military) are taking part. The President of the Perak Hockey Association Dato’ Abdul Rahim Bin Muhammad Ariff, stated that this year’s tournament was “significant as the champion from this 3rd Asian Indoor Championship event will represent Asia at the World Indoor Hockey Tournament schedule to be held in February next year”. “There is only 1 place slotted for Asia at that world tournament”, added Rahim. According to Rahim, with the 6 teams participating this year the tournament will be exciting. For the spectators, Rahim indicated that attractive lucky draw prizes, like a motorcycle and LCD TVs were awaiting the lucky winners. Hi. Participation for Pesta Hoki USM-Penang International 2010 is now open. For more info, please visit our website at http://www.usm.my/pestahoki . Thank you. I don’t know the procedure how a country like India can apply to participate in the Asian Indoor Hockey 2011. I’ll refer you to the President of the Perak Hockey Association, Abdul Rahim Mat Ariff, as he’s the person responsible for organising the championship. Here are the results of the game which, unfortunately, did not make it to Ipoh Echo’s column. The finals were played on Sunday, July 12 at the Indera Mulia Stadium, Ipoh. This is Iran’s third win in a row and henceforth qualifies to play in the World Finals in Poznan, Poland from February 8 to 13, 2011. INDOOR HOCKEY ASSO. OF INDIA. POLICE HEADQUARTER, LANE NO. 5/243. GANGAPUR ROAD, NASHIK- 422 002. Pakistan wins Asia indoor Hockey tournament. and results obtained, hockey could be seem to be a hindrance. Therefore, watching hockey these days are so NOT interesting as those days. The household hockey days are gone……………………!